"Heroes 5" is a mobile Collection RPG with four different classes: Offensive, technical, Supportive, and Defensive. Players choose which class character to use since there are five members in one team. 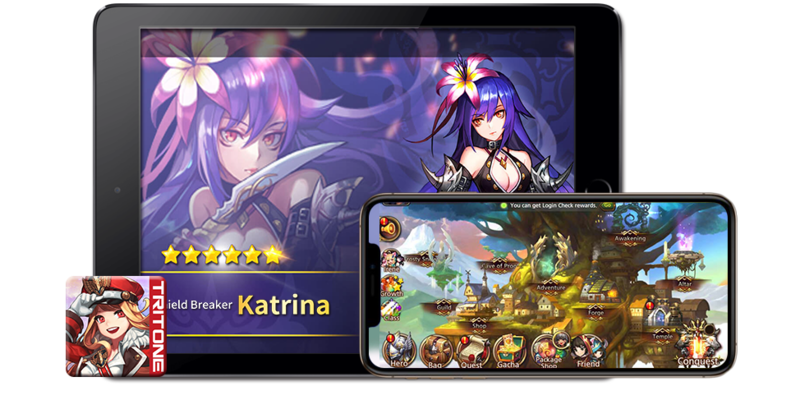 Heroes 5 gives extensive contents that players can enjoy such as hundreads of dungeons, PvP, Guild, Real-Time Conquest, and much more! 3 Different (Normal, Hard, Hell) along with Normal and Advanced Battle in the Adventure. Different elements' dungeons open daily in daily Dungeons. Combining collected equipment parts and elements will make heroes much stronger! 3D animations in all the characters along with awesome skills. Awake each hero to the latest evolution! Upgrade skills, parts, items and so on for stronger power. Guild / Conquest : Each guild fights to keep their territories in Conquest!